Last Sunday my girlfriend and I had been invited to a friend´s house. 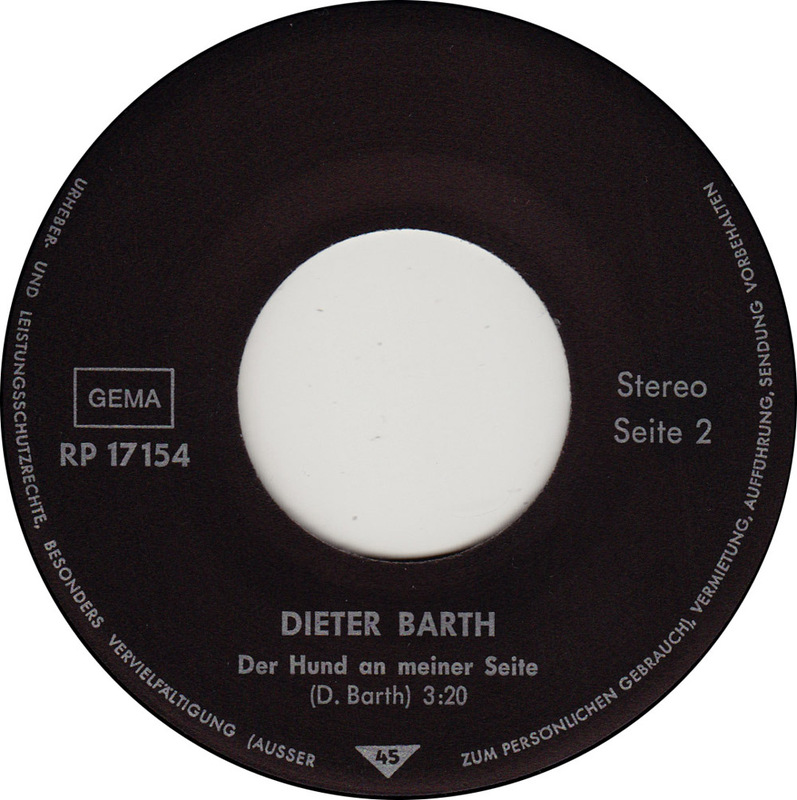 In a quiet moment I took the liberty to browse through their record collection and that´s were I found this 45. Apparently I´m not the only one to discover odd privately pressed records from Berlin at flea markets. Generously they lent the record to me to scan and digitize. A musician needs initiative, self-confidence and courage to publish his own record, even more so, if he´s not really a professional musician, but a fire chief or a car mechanic. 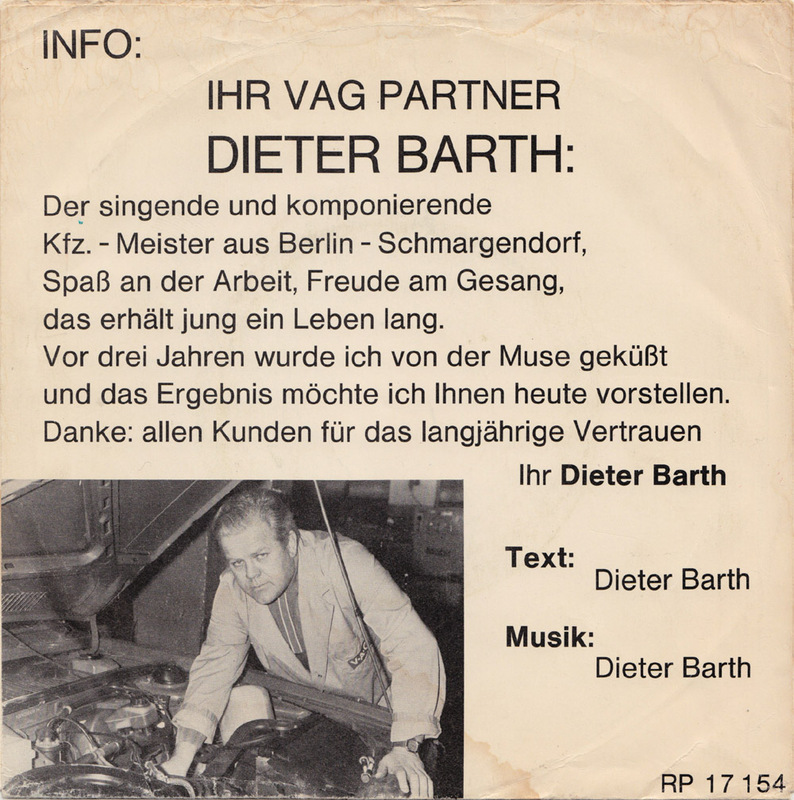 Dieter Barth, a Berlin car mechanic who operated his own garage, certainly did´t lack self-confidence. He even had his musical venture endorsed by his business partner. From the late 1970s to 1992, the acronym V.A.G was used by Volkswagen AG as a brand for group-wide activities, such as distribution and leasing. Contrary to popular belief, “V.A.G” had no official meaning, and was never the name of the Volkswagen Group. (Wikipedia) On the back of the sleeve he proudly announced: “Three years ago I have been kissed by a muse and today I would like to present the result. Thanks to all my customers for their long lasting trust “. I doubt that many Berliners today, would dare to mix their private passion with their business as much, for fear to be ridiculed. 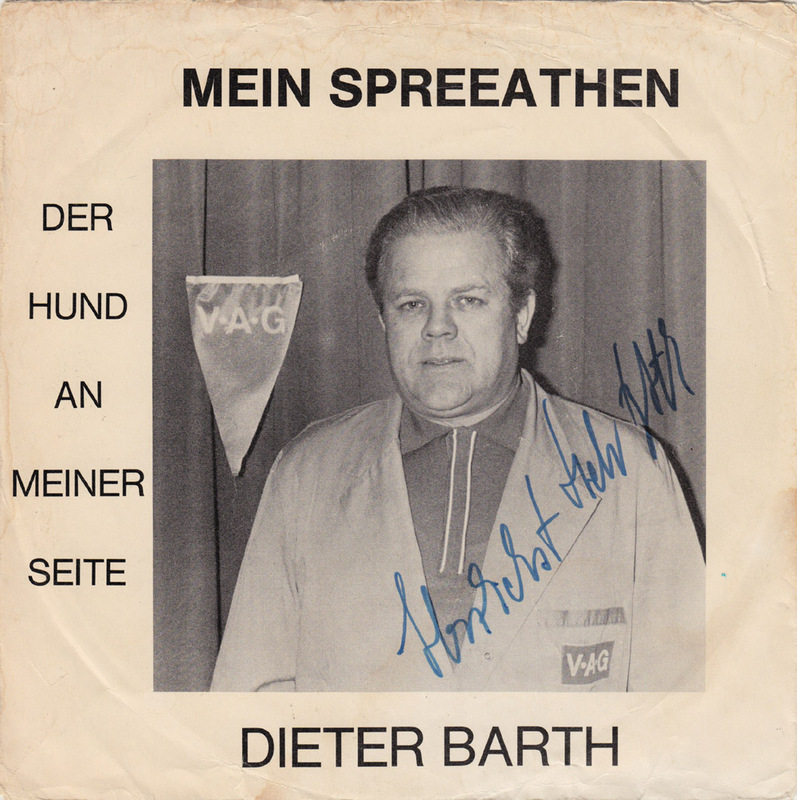 Thankfully Dieter Barth was oblivious to such concerns. 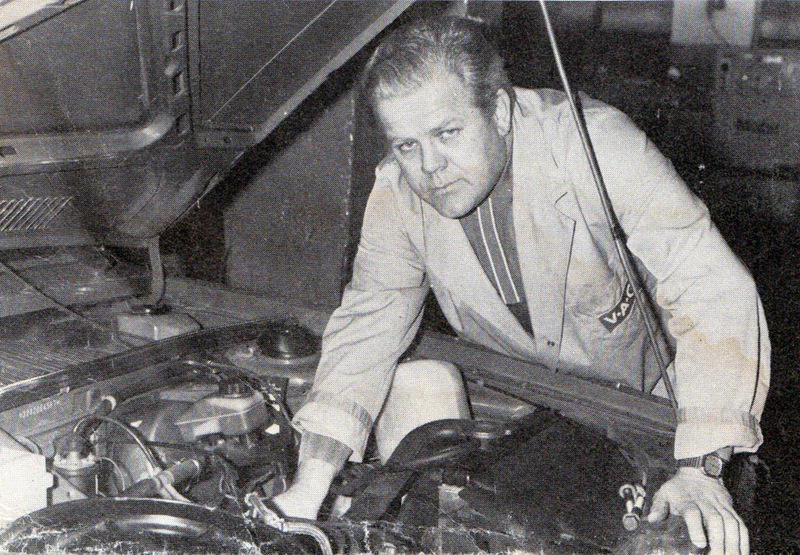 He was proud to be a singing and songwriting car mechanic and not afraid to laugh about himself. 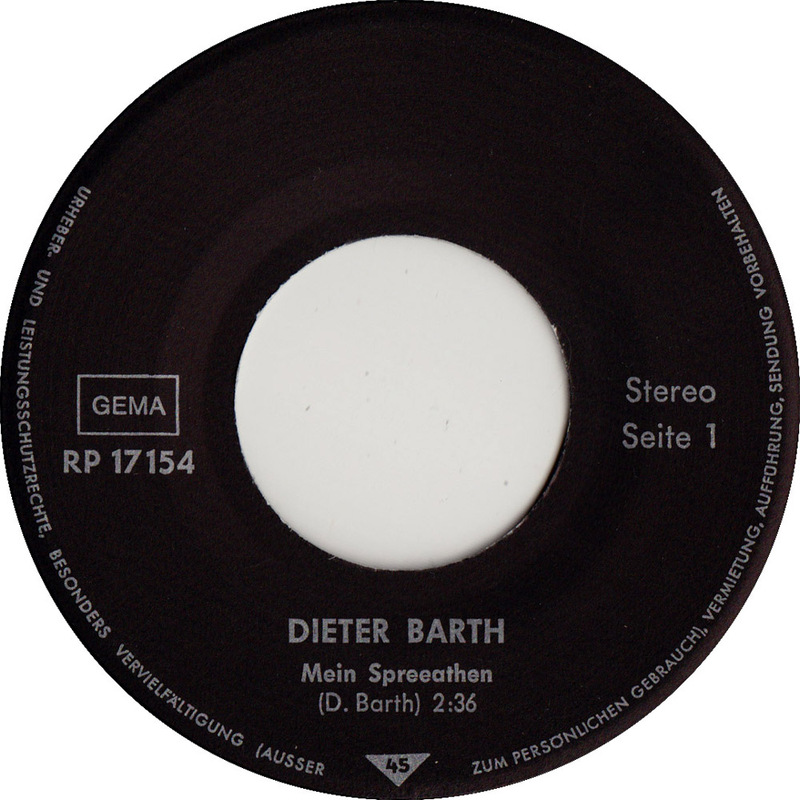 “Mein Spreeathen” is Barth´s ode to Berlin, the whole city – east and west. The perfect husband: he sings and fixes cars!